Arts & Crafts, Fabrics & Materials, Geek out! Lenore M. Edman at Evil Mad Scientist. 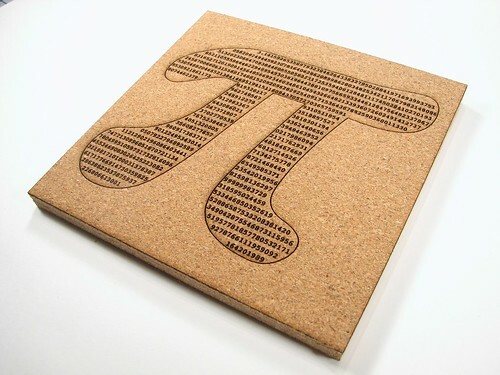 A cork trivet with the pi up to the first thousand digits by Lenore M. Edman at Evil Mad Scientist. Happy Pi Day! Bonus points for pi activities done at 9:26 in the morning.